Who isn’t fascinated by space?! If you’ve never been to the Space Center Houston, then you’re missing out. They have multiple flown spacecraft and various space suits on display, and they offer tours inside a shuttle replica. If your little ones likes dinosaurs, then the Houston Museum of Natural Science is the place to be. They have some truly amazing dino exhibits, as well as exhibits about ancient Egypt, beautiful cut gems, African wildlife, curiosities, and, of course, local Texas wildlife. For kids who aren’t faint of heart, they even have a special exhibit right now about deadly animals and plants! Of course, it’s also important to make sure your kids get a little exercise this spring break, and that’s why we’re offering special spring break sessions from Monday, March 11th through Friday the 15th! Skating is fun for the whole family and is a great place to meet up with friends from school. Check out our other upcoming Deer Park events and make your plans to take your child skating this spring break! Contact us at (281) 479-2816 for more information about our spring break skate sessions. Do you want to put an awesome spin on your upcoming party or get together? Or do you just want to put a unique twist on your next family outing? Skate World is here to help. 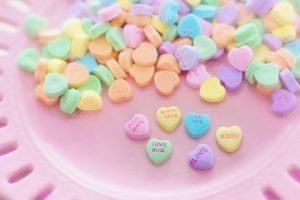 We’ve made a list of our upcoming theme nights and added our favorite way to incorporate the theme into your special night! Glow Parties. You can all wear glow sticks, rave wear, 80’s or disco wear, or go out of this world with alien/outer space garb. Spring Break Cheapskate and other Spring Break Specials. You can wear hula or beach gear, wear your favorite hat or sunglasses, or don one of those classic bikini oversized t-shirts. Praise and worship night. This is every Thursday, so you can pick a new theme each week with your youth group. Pick your favorite holiday to represent or turn it into a White Party with all of your friends. Funtastic Friday. This is every Friday night, so you can make it your own each week. Pick a new decade or theme each week. Turn it into your own version of Wacky Wednesday. Check out all of our theme nights and activity options here. Our Wednesdays are reserved for private and group parties. If you are looking for something unique for your youth group, reunions or anniversary parties, look no further than Skate World. 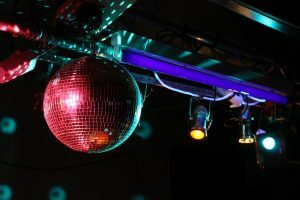 With a private party at Skate World, you get admission and rental for up to 40 guests, a DJ to play your music, food a la carte, and a hostess to help with whatever you need. The private party options give you endless options to make your party your own. We hope our theme nights and tips how to make your party your own have inspired you to plan the next night out in style. The new year is here, so start things off right with a fun, family-friendly Deer Park event! Check out some of the special events we have coming up at our Deer Park skate center below. Late Night Skate – We’re starting things off on Saturday, January 19th with a special late night skate from 7:00 pm – midnight. Come skate the night away with us for only $12, and get a free slice of pizza with admission. MLK Day Skate – Next up, we have a special Martin Luther King Jr. Day Skate planned for Monday, January 21st from noon – 6:00 pm. Admission is only $10 per person and includes a free lunch! Deer Park Skate Lessons – Every Tuesday from 6:00 pm-7:00 pm, we offer Beginner’s Skating Lessons for 5-12 year olds. If you’re looking for lessons for older children or adults, we also offer private Deer Park skate lessons and group lessons for beginners. For more info about private and group lessons, or to schedule your lessons, email Morgan.Malone@skateworlds.com. Cheapskate Night – Want to skate for less? 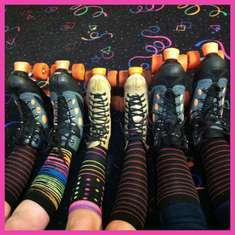 Then Cheapskate Night it for you, because you can skate each Tuesday night from 6:00 PM – 9:00 PM for just $3. Christian Music Night – Every Thursday is Christian Music Night at Skate World Deer Park! It’s perfect for families, youth groups, and church outreach events. Admission is only $7 to skate from 7:30 pm – 9:30. Ready to roll? Be sure to check out our weekly Deer Park events schedule for even more upcoming Deer Park events and make plans to skate in 2019 with your family! Get a Head Start on Your 2019 Resolutions! 2019 is coming up quick! If you’re looking to get in shape, improve your skating skills, or even learn how to skate, you’ve come to the right place. Here at Skate World Deer Park, we would be honored to help you get a head start on your 2019 resolutions. Get Healthy the Fun Way! Sometimes roller skating is so much fun, we forget it’s exercise! 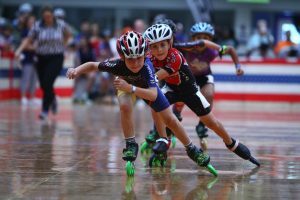 Let us remind you that roller skating has the same health benefits as any other cardio, so ditch that treadmill and put on your skates. 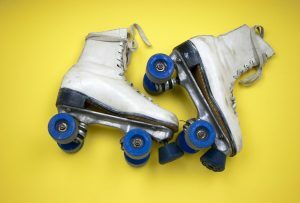 Not only is roller skating heart healthy, but it also strengthens the muscles in your arms and legs, improves balance and coordination, burns calories, and like any type of exercise, releases endorphins that make you feel happy. 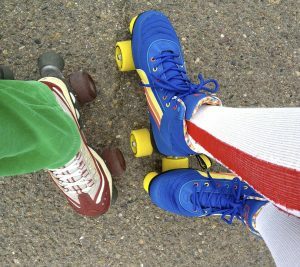 Roller skating is a great full body workout that doesn’t feel nearly as formal and repetitive as going to the gym and is also enjoyable exercise for every member of your family. 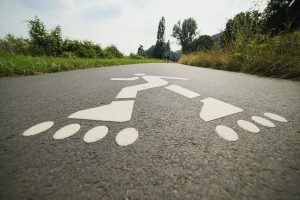 In addition to being a place to get an awesome workout in, Skate World Deer Park is also a great place to simply improve your roller skating skills. If you haven’t put on your skates in a while, 2019 is the perfect time to dust them off, strap them on, and come practice old skills or learn new ones. If you’ve never put on a pair of skates before, or want your family to learn how, we have you covered for that too! Choose from three skate lesson options ranging from private lessons to group lessons. There’s something for everyone! Whether it’s getting in shape, practicing your skills, or learning how to roller skate, Skate World Deer Park will walk with you on your journey to becoming a better you! Contact us to find out about other ways to start your 2019 off right at Skate World Deer Park. It’s a beautiful time of year in Deer Park, Texas, and that makes us thankful here at Skateworld. When we start feeling grateful for all the beautiful things in our lives, we like to think about ways to give back. Plus, giving back sets a great example for the little ones. If you’re like us and love the feeling of doing something for others, then check out some of our awesome fundraising ideas and volunteer opportunities around town! Giving your time to a shelter or food pantry is a great way to directly help out in your own community. Star of Hope homeless shelter is always on the lookout for donations and volunteers. Houston Food Bank is another great way to help out locally. No matter what you choose to do or how much time you plan to give, all help and generosity is appreciated. Give what you can and help make the holidays a little brighter for the less fortunate around Deer Park. At Skateworld, we have a great fundraiser program for schools and charities alike! This is a really fun way to raise money for a great cause. Whether it’s for your own school to help with supplies, field trips and other necessities, or for a charity of your choosing, you’ll be sure to have a blast while raising big bucks! Find out more about our FUNdraisers by stopping by or giving us a call anytime. We’re also happy to help with more information about volunteering your time this holiday season. 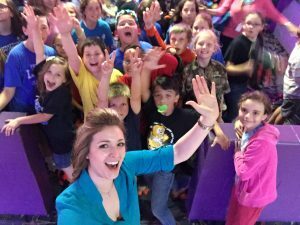 If you’ve ever been to Skate World in Deer Park, Texas, you know we’re all about FUNdraisers! That’s even more true during the holiday season. See, we love giving back this time of year and we love it when our Skate World family does too! Whether you’re affiliated with a school, church, scouting troop or another organization, our Skate with Santa fundraiser is perfect for raising money for a great cause of your choosing. Here’s the rundown on how to do it and how easy it really is to pull off a great FUNdraiser at Skate World! At Skate World, we’ve been teaming up with schools and organizations for more than 30 years. We’ve only been able to have this continued success by offering an awesome experience and raising a LOT of money! And now during the holiday months, we’ve invited a very special guest to join in. For every skater who pays admission during your fundraiser, Skate World gives between $1 and $3.50 back to your good cause. Another great reason to get out on the skating rink during the holidays is because it is such a good work out. 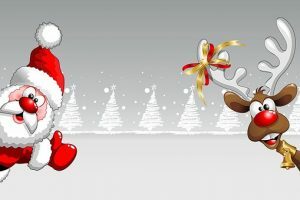 The more fundraisers Santa gets to attend, the better shape he’ll be in for the big day in December! The best way to find out all the details about our Skate World FUNdraisers is to give us a call or roll by. We are always happy to give answers any questions you have and get your fundraiser booked for this holiday season.